Void Filling Empowerment is partnering with "Harvest miracle Church" in Siaya in Kenya. 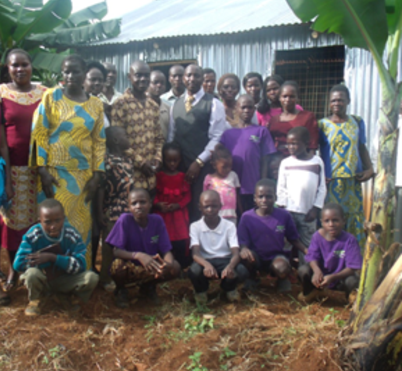 This Small church in Siaya has a lot potentials of growing. The church has gone through a lot to get where they are now. 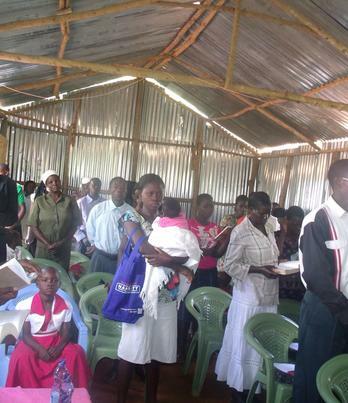 The Church is the rural area where there is a need of the Gospel. 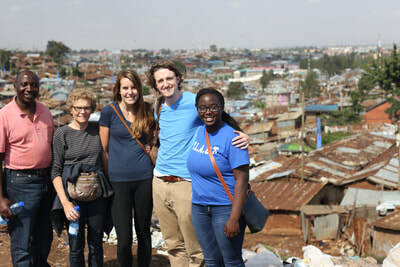 Void Filling Empowerment is working with local organizations in one the biggest slums in the world located in Kibera - Nairobi Kenya. VFE is committed to provide basic hygienic needs to the girls to preserve their dignity so they can attend school on regular basis. The teenage who live in this slums need encouragement and empowerment in a way to help them boost their confidence. 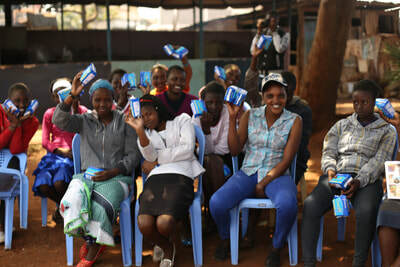 A very critical situation that these girls face is that when they reach puberty and begin their periods, they miss four days of school everyday because they lack pads to help them during the four busy days. Being absent in the class 12 days and other unpredictable absenteeism make the life and the dreams of these girls being cut short. So many times these girls will sell themselves to get these supplies and end up ruining their lives being pregnant. Working with local organizations that support these girls assures that the girls can access these supplies on montly basis for free. Rallying with these organizations, our teams teach the teenage who lives in these slums how to build their hope and dream in the future that the education can offer. Void Filling Empowerment Inc, a 501(c)(3), is a holistic ministry to spiritually and physically fill the human's void and empower life for great sustainability.